SKU: Riverview Categories: Playground Equipment, Residential Play Systems Tags: FREE Ground Shipping, residential modular play systems Brands: Gorilla Playsets. The Riverview Swing Set Modular Play System is a wonderful option for any home backyard. Featuring swings, a wave slide, rock wall for climbing, rope ladder, a sand pit and more; this play system is built to provide endless entertainment for all the children who use it. 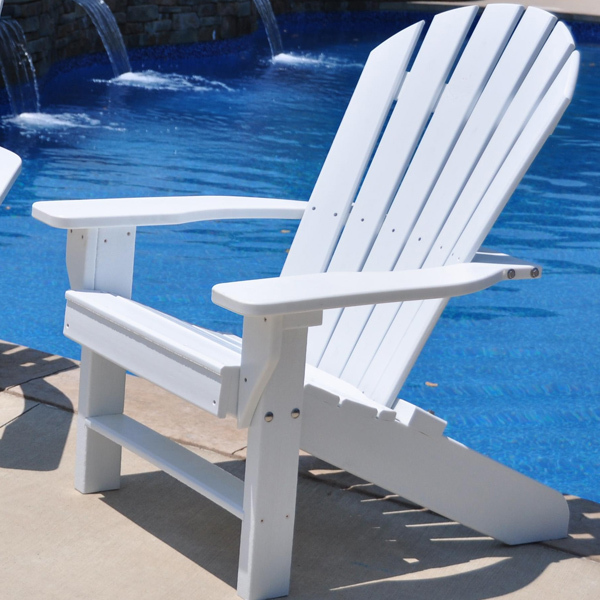 These premium quality play sets are made with the finest hand selected lumber available. Our lumber comes from “Certified” forests which have been approved to be harvested and replanted so that these resources remain sustainable. When you choose a swing set or Play System made by Gorilla Playsets, not only can you be certain that our lumber is strong, durable, and conforms to all national standards for use in children’s play equipment, but you can also be confident that you are making an environmentally sensible, and “green” choice! Most of our Gorilla Play Systems are made with the best quality Cedar. 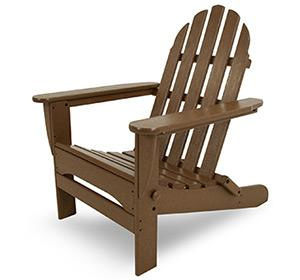 Cedar is naturally resistant to decay, rot, and insect damage. All Cedar Play Systems receive a factory applied stain/sealant to protect the lumber. Some of our Play Systems feature our maintenance-free Timber Shield protective poly coating. These attractive, splinter-free, timbers are coated with a thick, green, polyethylene casing that shields the wood from the weather, making them virtually maintenance free. These are some of the recommendations that The U.S. Consumer Product Safety Commission (CPSC) offers from its Handbook for Public Playground Safety. Since almost 60% of all injuries are caused by falls to the ground, protective surfacing under and around all playground equipment is the most critical safety factor on playgrounds. Certain manufactured synthetic surfaces also are acceptable; however, test data on shock absorbing performance should be requested from the manufacturer. Asphalt and concrete are unacceptable. They do not have any shock absorbing properties. Similarly, grass and turf should not be used. Their ability to absorb shock during a fall can be reduced considerably through wear and environmental conditions. A fall zone, covered with a protective surfacing materials, is essential under and around equipment where a child might fall. This area should be free of other equipment and obstacles onto which a child might fall. Stationary climbing equipment and slides should have a fall zone extending a minimum of 6′ in all directions from the perimeter of the equipment. Swings should have a fall zone extending a minimum of 6′ from the outer edge of the support structure on each side. The fall zone in front and back of the swing should extend out a minimum distance of twice the height of the swing as measured from the ground to the top of the swing support structure. It is recommended that children are supervised by an adult while playground equipment is in use. Do not let children walk or play close to other children who are swinging or using other activities that include motion. Do not let children twist swings, swing chains, or ropes since this may reduce the strength of these items. Do not let children swing empty swing seats or other empty activities. 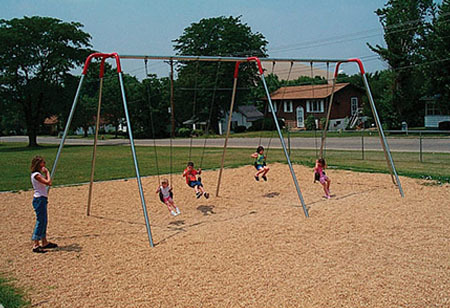 Teach children to sit in the center of swings with their full weight on the swing seats. Never let children stand on swings or other swinging activities including tire swings. Teach children to use the playground equipment in the intended manner. Children should not to get off play equipment while play equipment is still in motion. Parents should make sure children are dressed appropriately while using our play equipment. For example, wear well fitting clothing and closed toe shoes. Avoid loose fitting clothing such as scarves, ponchos, and clothing that has drawstrings. Avoid climbing on playground equipment when wet as this may lead to a slip or fall. This play system is intended for residential use only. It is recommended to include a 6ft. safety perimeter around the swing portion of the play system. Please Note: If your item is listed as “Custom Shipping”, shipping will be charged separately. If you have placed an order via our shopping cart service, you will be contacted with a custom shipping quote before your card is charged for the product cost. Freight shipping cost is determined by delivery address. Additional charges may be incurred for delivery to churches or residential areas as well as any additional services requested. Dimensions: 11' x 12.5' x 7' Use Zone: 23' x 24.5' Age Range: 5 - 12 Accommodates: 10 children Weight: 553 lbs. Dimensions: 12.5' x 12.5' x 7' Use Zone: 24.5' x 24.5' Age Range: 5 - 12 Accommodates: 15 children Weight: 935 lbs.